Homemade Brownies made with a delicious blend of chocolate and coffee that come together in the batter to make a brownie so moist you’re going to have a hard time stopping with just one! 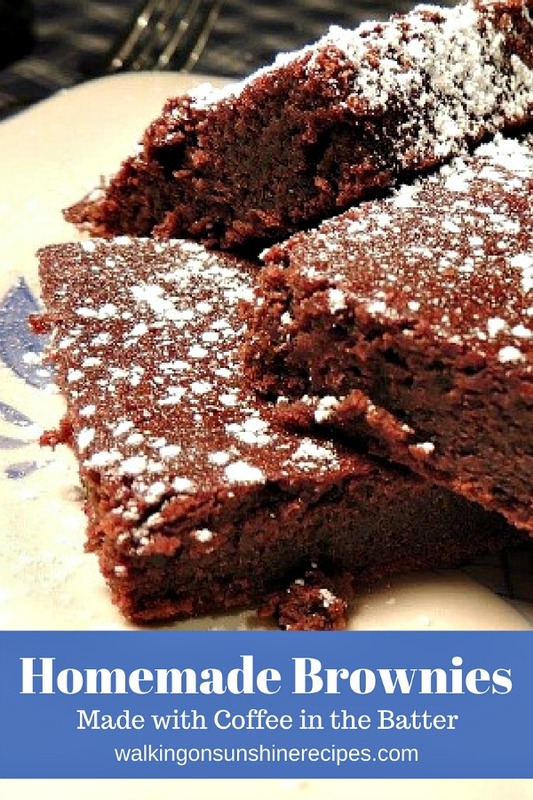 Have you ever made Homemade Brownies? Of course for most of you, the answer is probably yes. 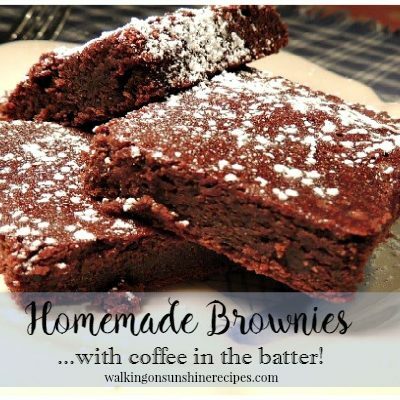 Well for me it was, no, until I discovered this recipe for homemade brownies with coffee in the batter. Usually when I make brownies, I open a box. Because that’s what my kids have come to love. But I wanted to try to make them homemade and I always heard that adding coffee to any chocolate batter makes a great recipe. But first I had to make coffee and it had to be day old coffee. What’s a girl to do but make a pot of coffee! 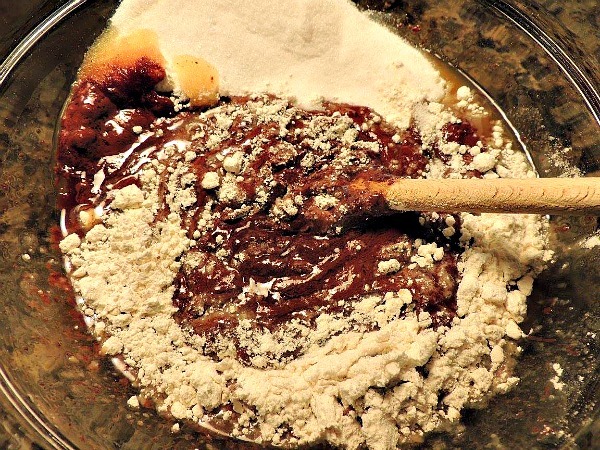 Melt the butter, cocoa and coffee in the microwave and then stir in the remaining ingredients. 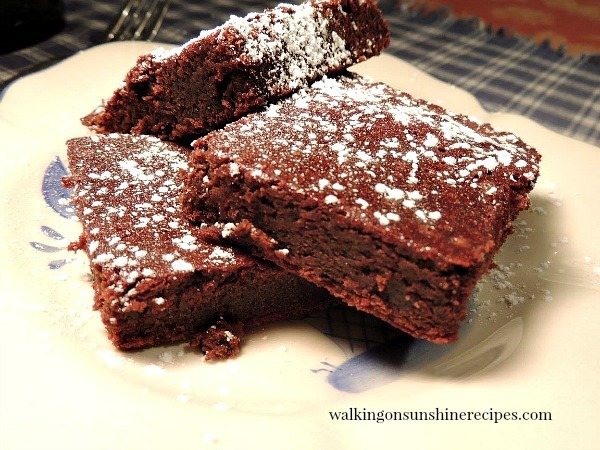 Bake for 30 to 35 minutes and you have delicious homemade brownies. Delicious! A perfect blend of chocolate and coffee and you definitely taste the coffee which only enhances the flavor of the brownies. A delicious blend of chocolate and coffee come together in the batter to make a moist brownie that you're going to love. Place the coffee, butter and cocoa powder in a microwavable safe bowl. Place the bowl in the microwave and melt on low in 30 second intervals until the butter is melted; stirring in between. Pour the batter into a 9X13 pan that has been sprayed with nonstick baking spray. Bake in a 350 degree oven for 30 to 35 minutes or until a toothpick inserted into the center of the brownies comes out clean. 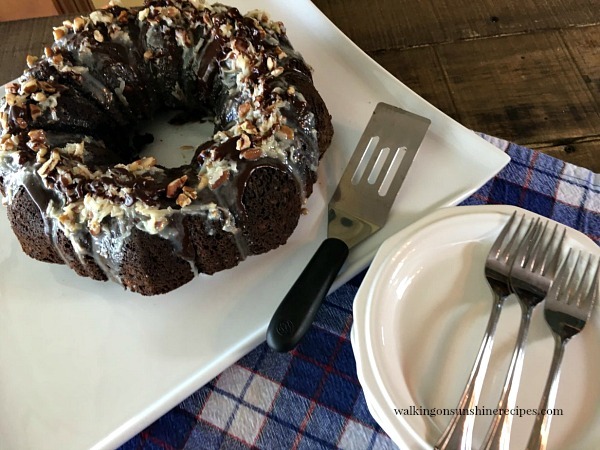 If you love chocolate, you’re going to this recipe for Easy German Chocolate Cake that starts out with a cake mix and then you drizzle homemade coconut icing all over. Yummy! 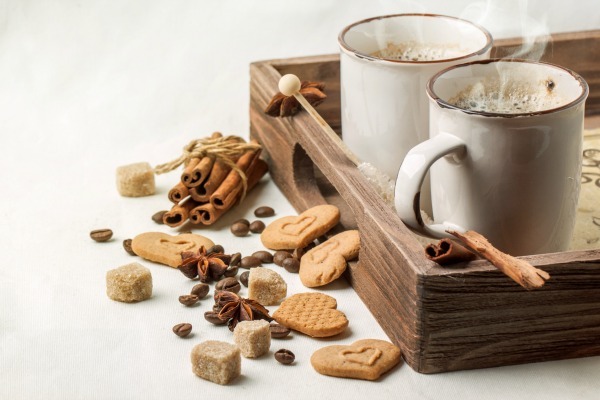 Great post and thanks for the link Lois..
Coffee sugar scrub? Hmmm…now that sounds lovely. The recipe sounds yummy, too. They sure do look good and I also love my coffee first thing in the AM. 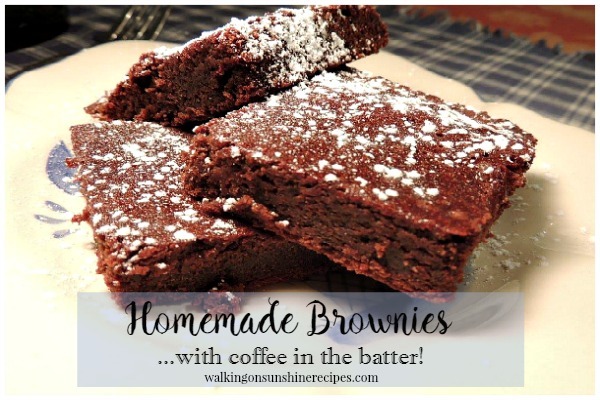 Coffee and brownies – I think are the perfect pair! Love those delicious looking brownies! Those look amazing delicious! I actually don't drink coffee, but they do look great! They look great – nice and moist! I hate dry brownies. 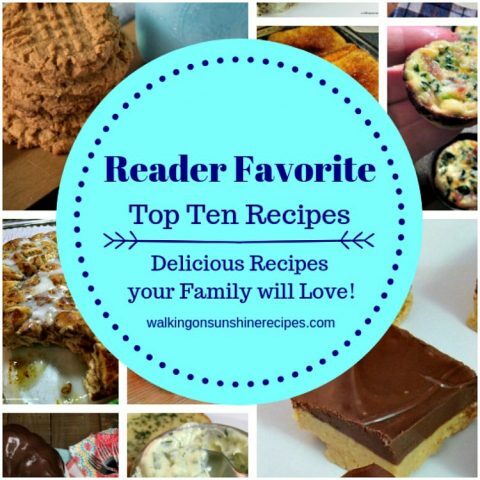 Thank you so much for becoming my newest follower and for visiting from Tammy's blog. Your brownies looks wonderful and so do the body scrub and cupcakes! Those look so yummy! I love brownies and coffee flavor! I'll bet these are delicious. Coffee and chocolate play so well together. Thanks for sharing the recipe. Coffee and chocolate = two of my favorite things. Sounds really yummy, but there isn't any such thing as "old" coffee around here. She actually made the coffee weeks ago and stored it in the fridge I presume? Does it have to be "old" coffee? Hi Lois, These Brownies look scrumptious! 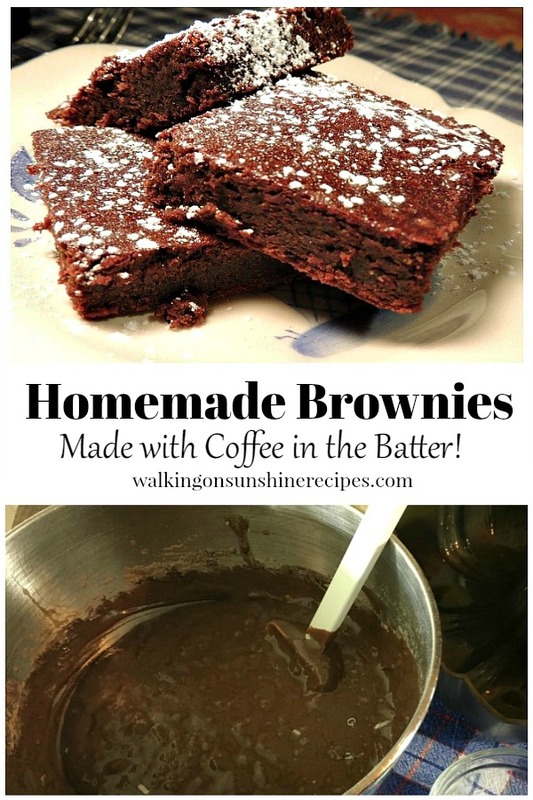 Brownies and coffee in one package! 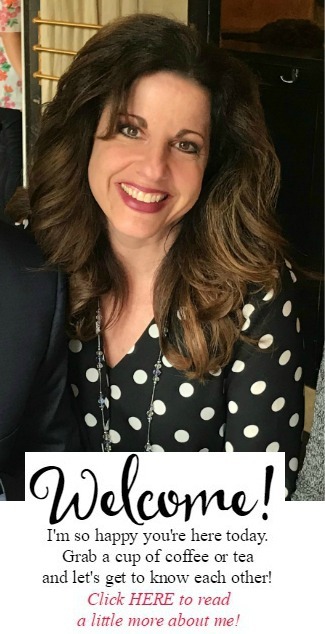 your husband must have been in heaven! I love coffee anything. We will have to try these. Mmm. Coffee really adds to chocolate. I could definitely go for brownies right now.